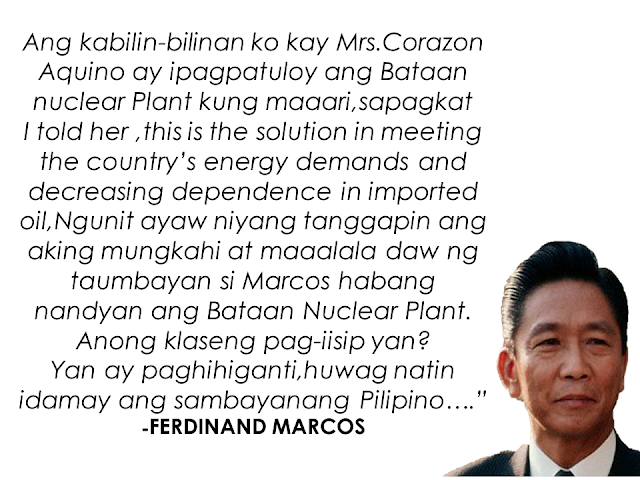 The Bataan Nuclear Power Plant (BNPP) is the only existing nuclear power plant in the country built during the Marcos era in 1976 with the help of Westinghouse Company.The project was completed in 1985.The main reason is to lessen the power supply crisis and to minimize the import of petroleum from other countries,making the country self sufficient in terms of energy by ensuring cheap and clean supply of electricity with minimal effect on the environment compared to expensive fossil fuel ran facility .This project spent more than $2Billion but has never been used.The power plant is fully operational but the contract was suspended May of 1996 in the wake of the Chernobyl Disaster. It has been placed under the preservation mode and the National Power Corporation (NAPOCOR) has been taking good care and maintenance of the facility eversince.In 2011,NAPOCOR decided to open it for the public who wants to see it. There was a plan of re-opening it in the same year but the Fukushima nuclear incident renewed concerns about the power plant's safety. The BNPP is said to be capable of producing 620 Megawatts of electricity that can supply 1/10th power requirement of Luzon.The nuclear power plant uses uranium ore pellets that produces 9 grams of oil and 3 tons of coal that can supply a household that consumes 350kw/h for 9 consecutive months.The use of the powerplant has less carbon emission making it environment and ozone friendly. Energy Secretary Alfonso Cusi said that reviving the plant that has never been used for decades will require a $1Billion investment. The re-opening of NBPP is one of the options for the Philippines to meet its growing power needs that the demand is said to be expected to rise by an average of 5% until 2030,according to Cusi. "We have to weigh all our options, with emphasis not just on meeting capacity requirements, but sustainability and environmental obligations as well," Cusi said. Cusi will revive a task force created by the government in 2007 to study nuclear power as an alternative to imported fuel oil and coal,comprising half of the country's energy mix.The country will be joining more than 2 dozen other countries looking to add nuclear power to their grid including Asian neighbors like Indonesia,Vietnam,Malaysia and Thailand. 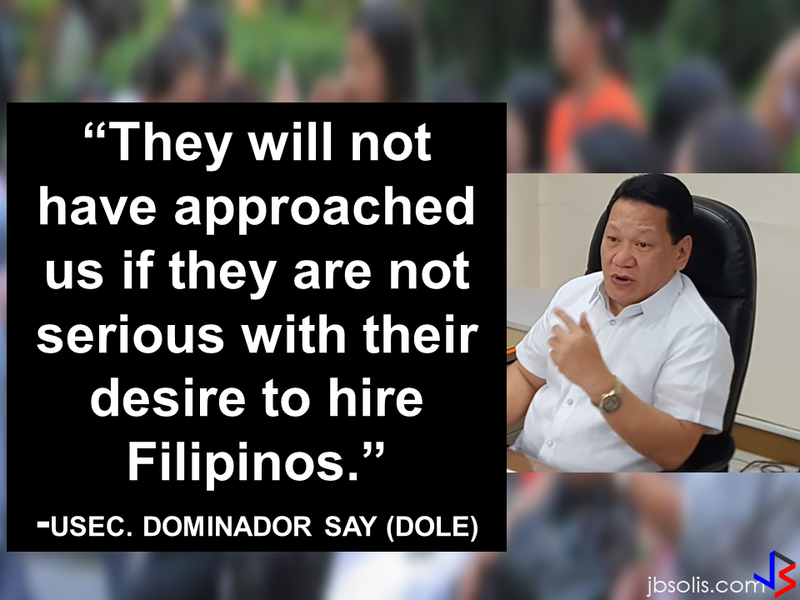 Cusi is not committing any timetable for the study but the protests against the project is expected to reignite. In making the power plant operational,the very first thing to consider is the safety. But according to the management of the BNPP,the facility is very much ready to operate .They said that the powerplant is designed to be safe anticipating every leakage possibilities and made sure that no radioactive materials will leak in case of disasters. The facility was declared unsafe because it is sitting near Mt.Pinatubo and in a major fault line.However,the Pinatubo eruption in 1991 had no effect on the BNPP. Re-opening of the BNPP promises cheap and safe electricity and the beneficiary will be none other than the Filipino people who has been paying more on fossil fuel generated energy that is more harmful in the environment and contains more pollutants. 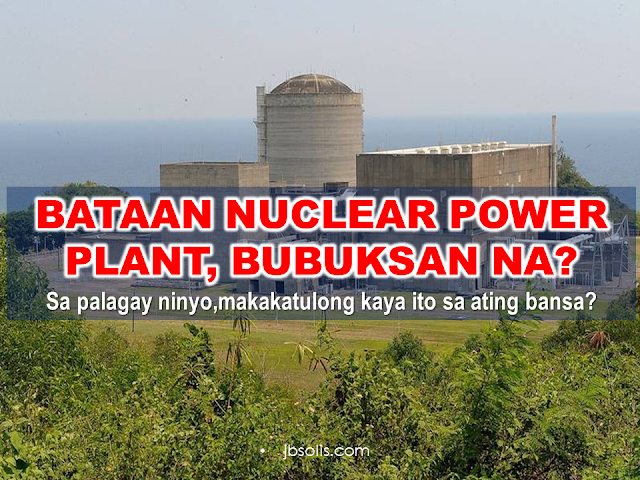 Tags Bataan Nuclear Power Plant Opening, CHEAP ELECTRICITY, CLEAN ENERGY, Environment, fuel, Marcos Project, Nuclear Plant, nuclear reactor, nuke, Philippines.Bataan, uranium, WHAT ARE THE RISKS?